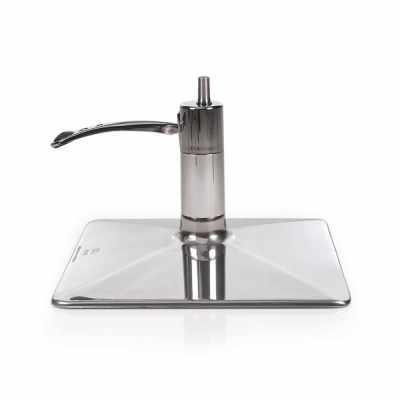 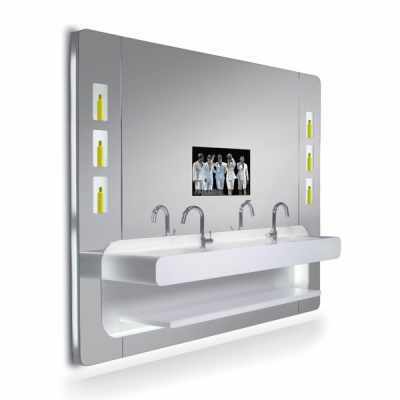 "Premium" wall styling unit for men with 2 working places. 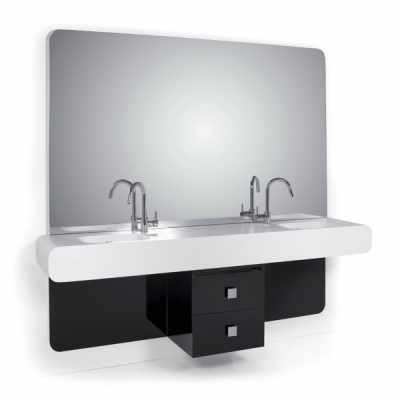 Wall styling unit for men with 2 working places. 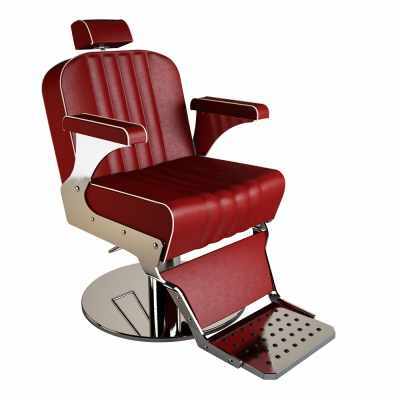 Barber chair with tilting backrest and legrest. 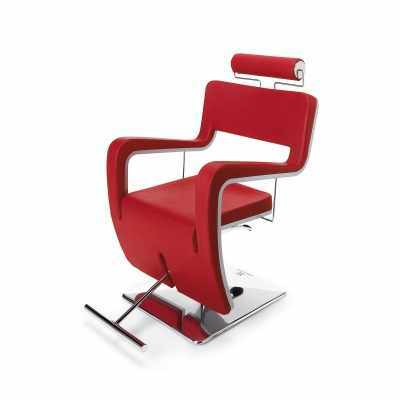 With adjustable headrest. 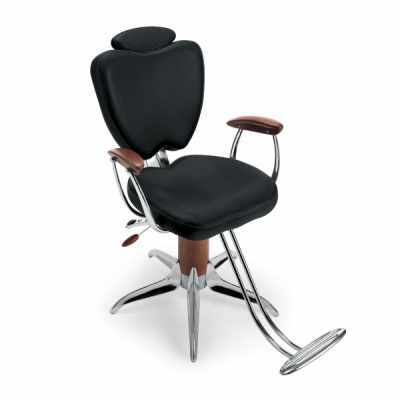 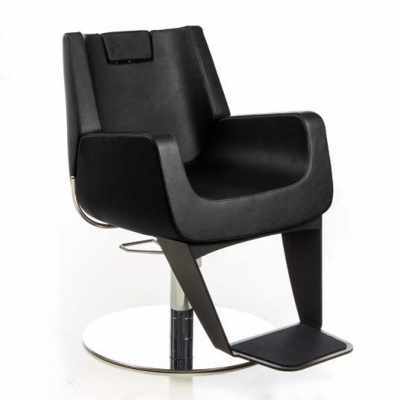 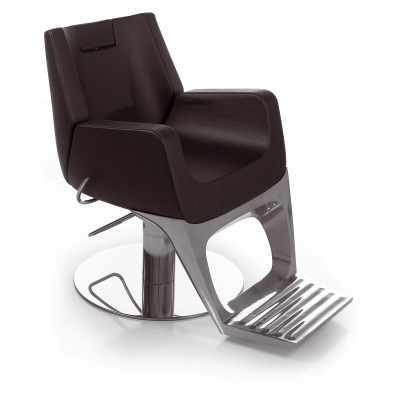 Swivel barber chair with lockable hydraulic pump base, headrest and footrest.